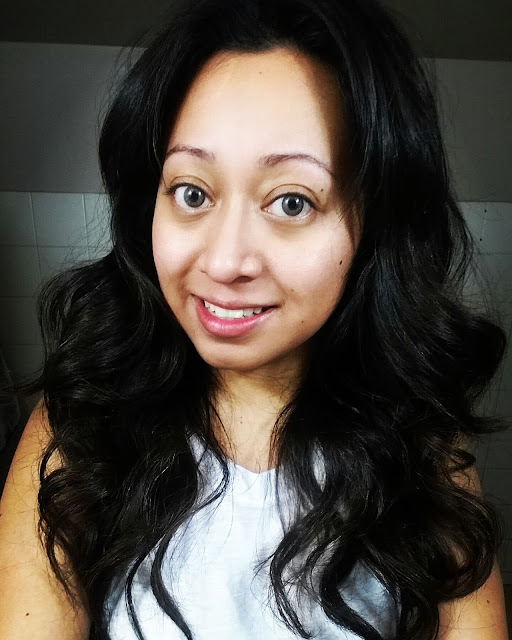 I have always wanted to try extensions but I always had long hair until not too long ago. 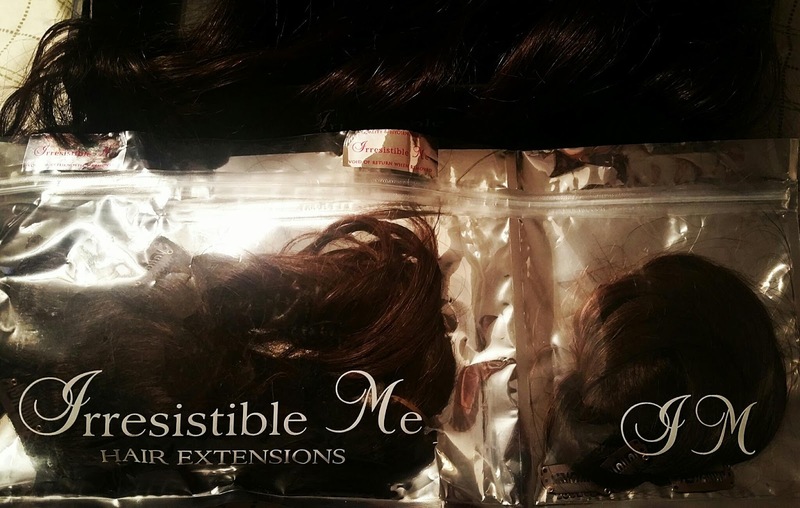 When Irresistible Me contacted me to try their hair extensions I was ecstatic and said yes. I was able to pick the color, type, and length of extensions I wanted to try. I picked the Silky Chocolate Brown (#2) in 22inches long, I thought these were perfect since they were clip-ins. This was the package I received, it had a left side where all the extensions were packaged and then the right side where there was just 1 small piece with the clip. They give you the one clip hair so that you can try the extension before opening the whole package in case you need to return them. 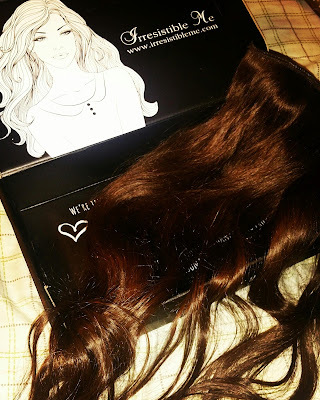 Here's the box I received the extensions in as well as the largest strand of extensions I got. The largest strand has 4 clips, I also got five 2 clips, one 3 clip and two 1 clip strands. I only used the largest strand for this look. Here is a front picture of me before the extensions and after the extensions. 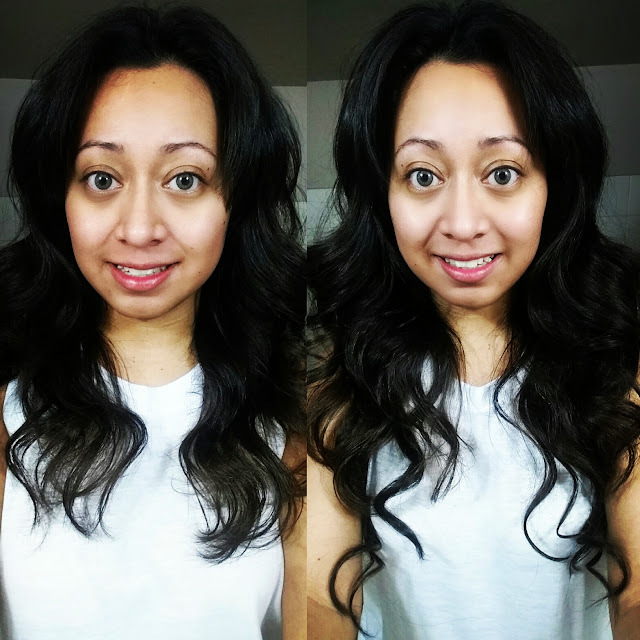 I curled my own hair with a curling wand and then I curled the hair from the extensions. Here is the back view of the before and after. I think I could've placed more clip-ins but I opted jut for the one this time, I will be sure to use more strands next time. You can definitely see the length of my hair is longer but these extensions blend in well, there was no color difference for me. I love that the color and length varieties are great and they give you lots of comparisons online to help you pick the ones perfect for you. Here is the Final Look, I loved it and got many compliments of how great my hair looked. I told them that I had extensions on and was told they would never know had I not mentioned it. 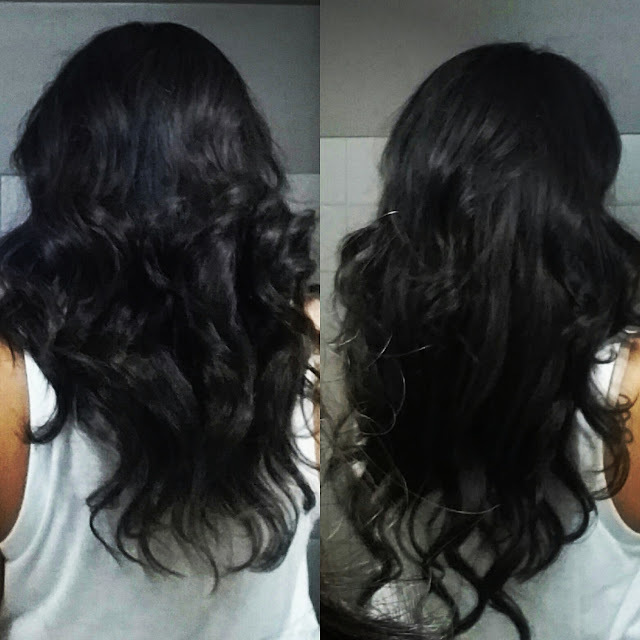 I was really happy and felt amazing with the Irresistible Me hair extensions. If you want to order some take a look on their website or on Amazon.